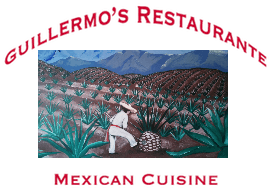 Guillermo’s Mexican Restaurante Palm Desert has been a mainstay of Palm Desert area dining since 2003. We are proud to serve the highest quality, freshest Mexican dishes in a warm, friendly environment. Family owned and operated, we put a premium on making our customers feel welcome and ensuring that they have the best experience possible. We accomplish this through serving authentic, creative dishes that our customers tend to love as much as we do. We also serve over 300 varieties of tequila, which can be enjoyed at our tequila tastings or in our many uniquely delicious margarita recipes. Stop by soon for some live music, a warm welcome, and a meal you won’t forget.